Iconic rock band Tom Petty and the Heartbreakers will play at Scottrade Center Friday May 12 as part of their 40th Anniversary Tour. The tour is marking the release of their self-titled debut album in 1976 that spawned “Breakdown” and “American Girl”. 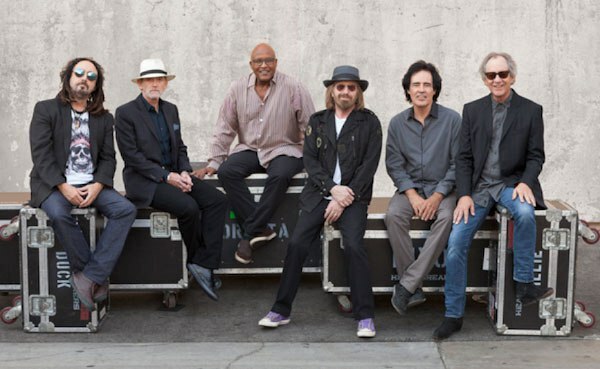 The band would go on to release such classics as “Don’t Do Me Like That”, “Refugee”, “I Won’t Back Down” and “Free Fallin’” among many others. Rock and Roll Hall of Famer Joe Walsh will open the show. The tour starts April 20 in Oklahoma City and will continue throughout the summer with more dates to be announced. It will be the first time they have played Saint Louis since a show in 1999 at Riverport Amphitheatre (Now Hollywood Casino Amphitheatre). Tickets for the general public go on sale Friday at 10:00 AM through ticketmaster and Livenation.com.